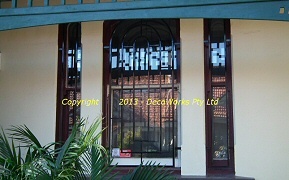 The PRINCESS style of Art Deco security bars are characterised by several concentric arch motifs. 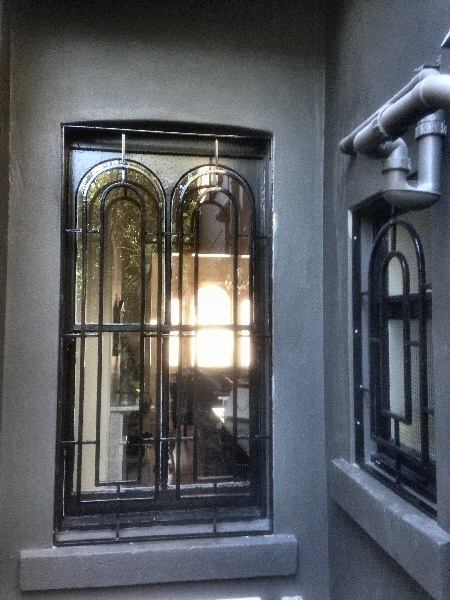 This design can compliment existing architectual arch features around doors and windows. 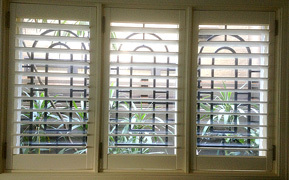 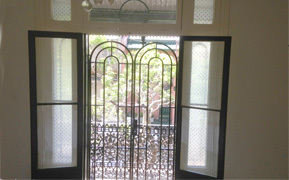 Below are some examples of the PRINCESS design used for window and door security. 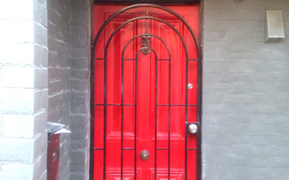 This style takes it's name from the Princess Theatre in Decatur, Alabama USA. 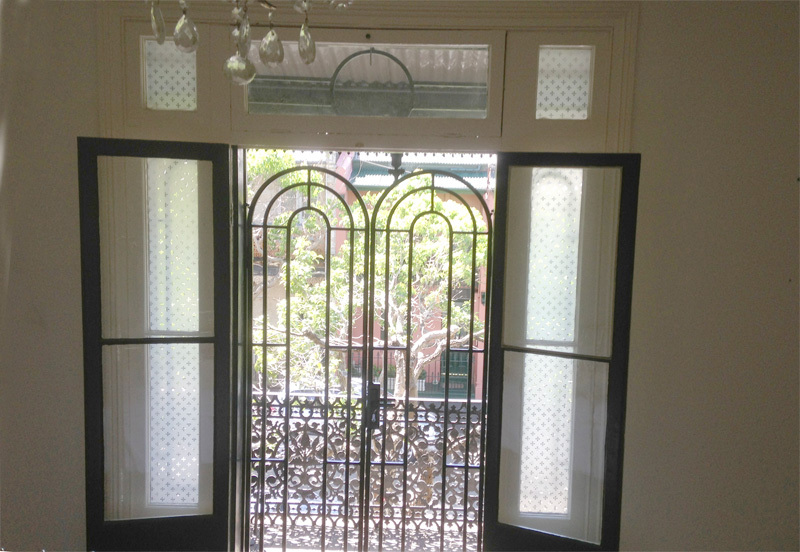 These PRINCESS double arched security doors make an attractive addition to the front balcony doors leading out from the upstairs main bedroom of this Sydney terrace. 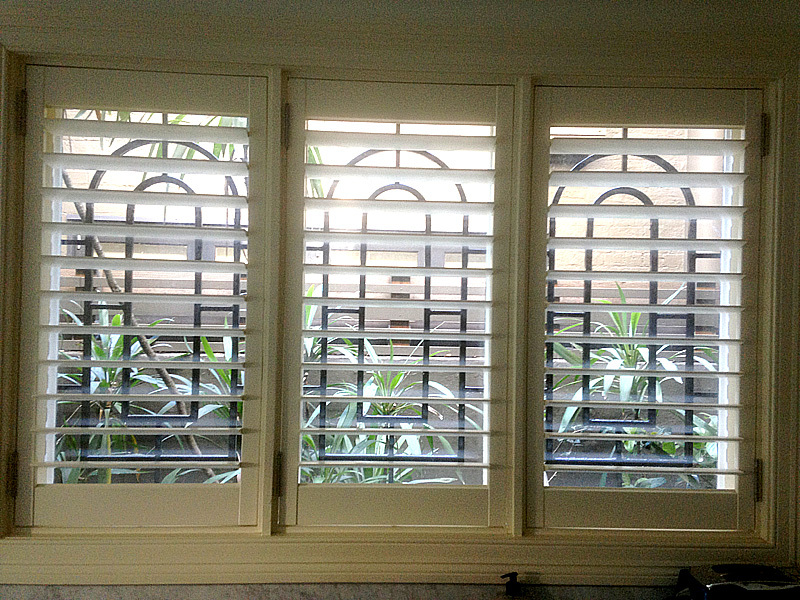 These kitchen window security bars feature an arched motif. 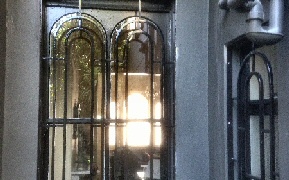 The design looks much better than the usual vertical bars spread across the entire width of the window. 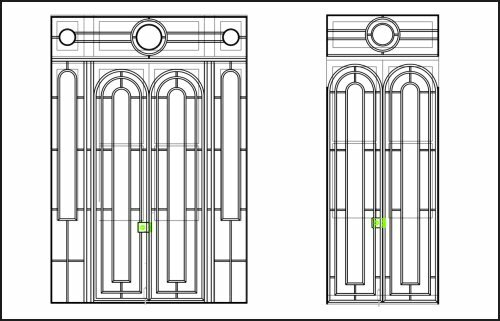 The PRINCESS arched security door design takes its inspiration from the arched architectural wall decoration above the front door of the house. 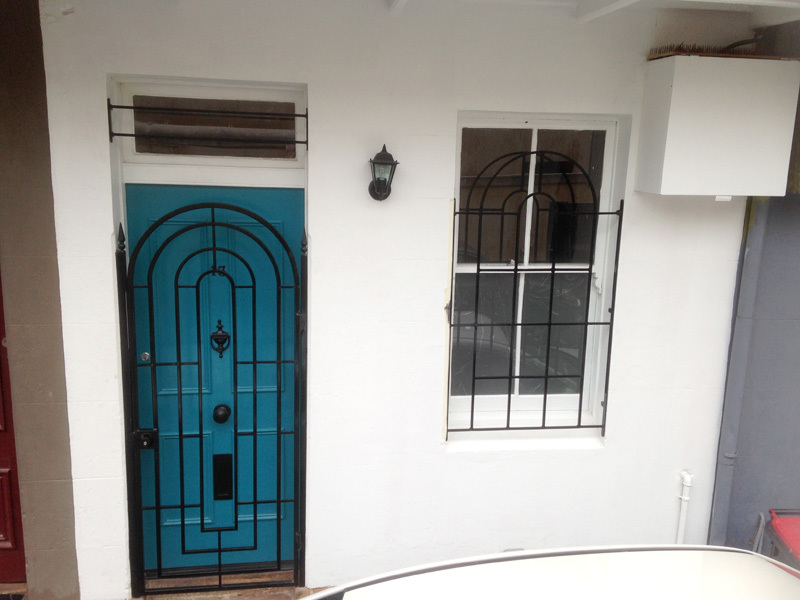 These PRINCESS style arch themed security bars were inspired by the arched windows and door on the front facade the house. 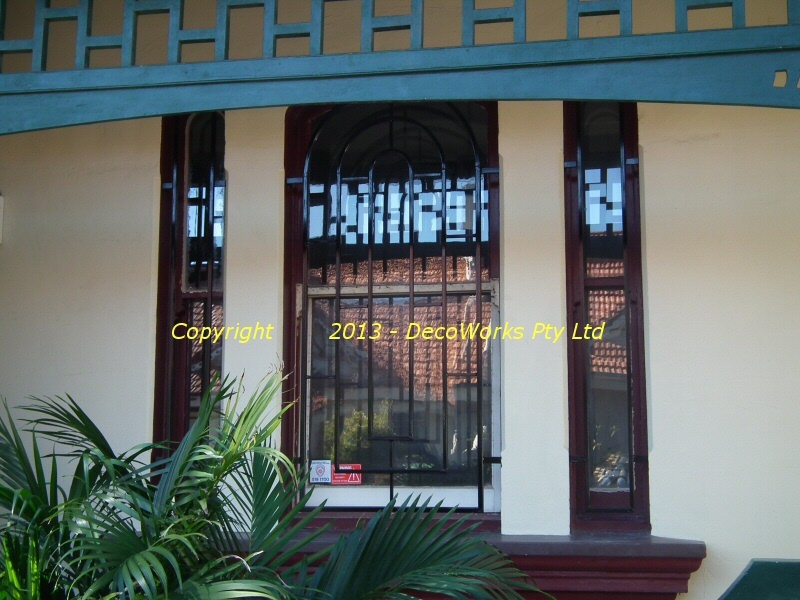 This PRINCESS style security window replaced some very ugly security mesh that had been riveted over the windows for security. 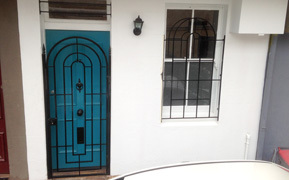 This Princess style security door and window were installed on a small Paddington terrace. 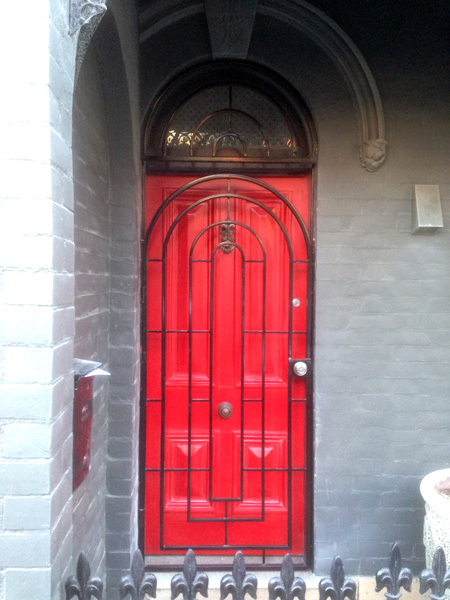 On hot days the owner wanted to leave the front door open but with it opening onto the street a security door was essential for peace of mind.